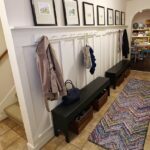 Finding unique and inexpensive art can be a challenge when you are decorating on a budget. 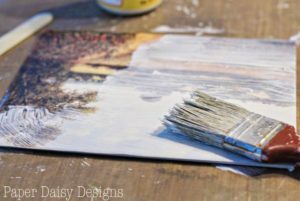 Today I’m sharing my little secret for getting an oil painting for less, how to fake an oil painting. 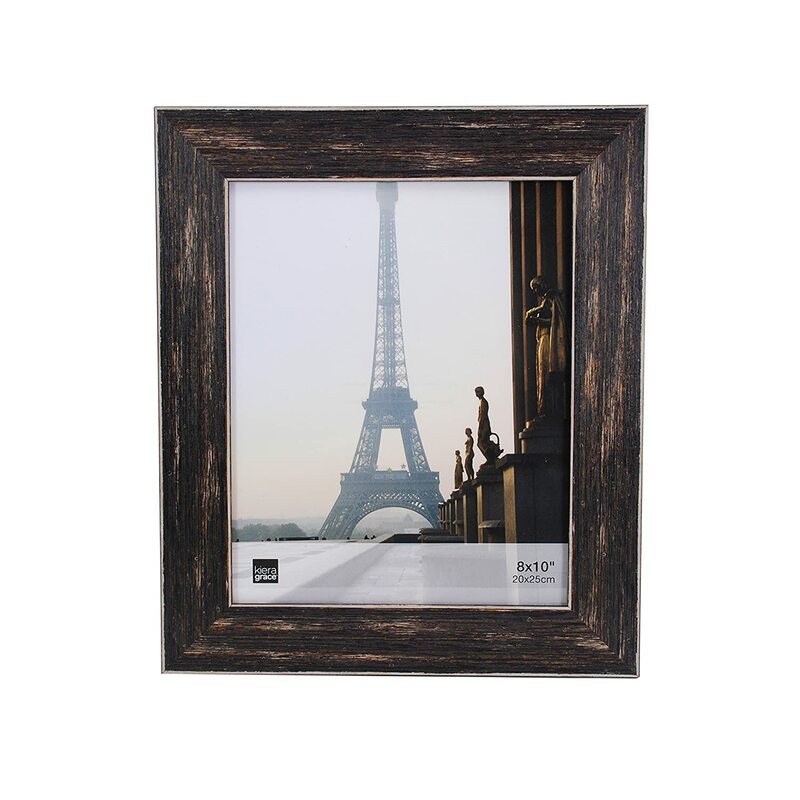 Every good budget decorator knows that thrift stores are filled with all manner of cheap art and frames. Sometimes I find a piece of vintage art I love, but find the frame is just hideous. Other times I buy art solely to take home a gorgeous frame at a great price. My latest thrift store makeover is this piece of art sitting on the open shelves in my kitchen. I love the warmer earthy tones it adds to cooler vibe of the kitchen. And you’d think it’s an oil painting wouldn’t you? Well, it’s not. It’s really just a Mod Podge facade on print and an inexpensive canvas board. 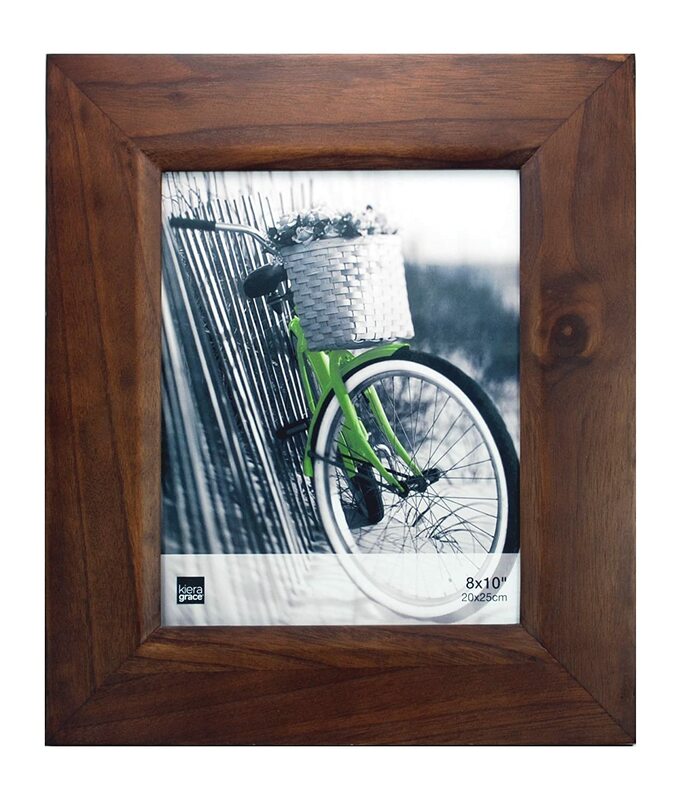 I had originally discarded the print and used the frame for another project. Recently, as I was going through my frame stash, I ran across this print and with fresh eyes I saw potential. 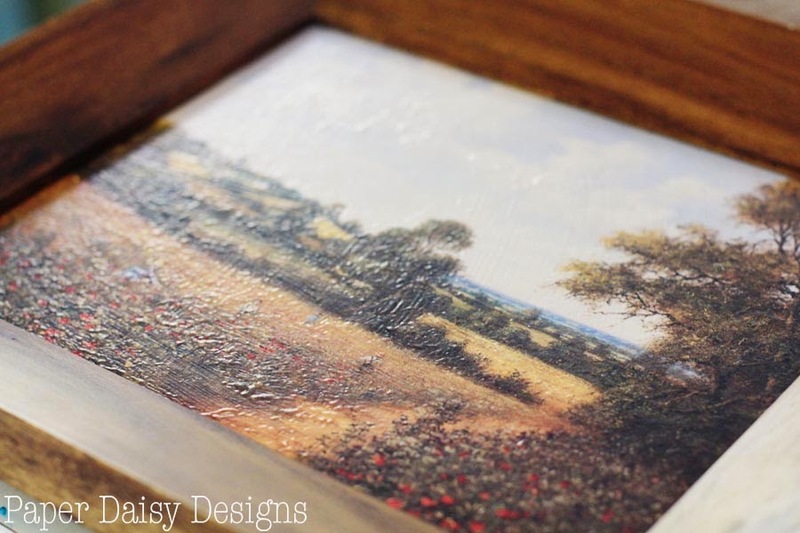 I purchased a new frame and gave the print a faux oil painting makeover. See all that gorgeous detail? 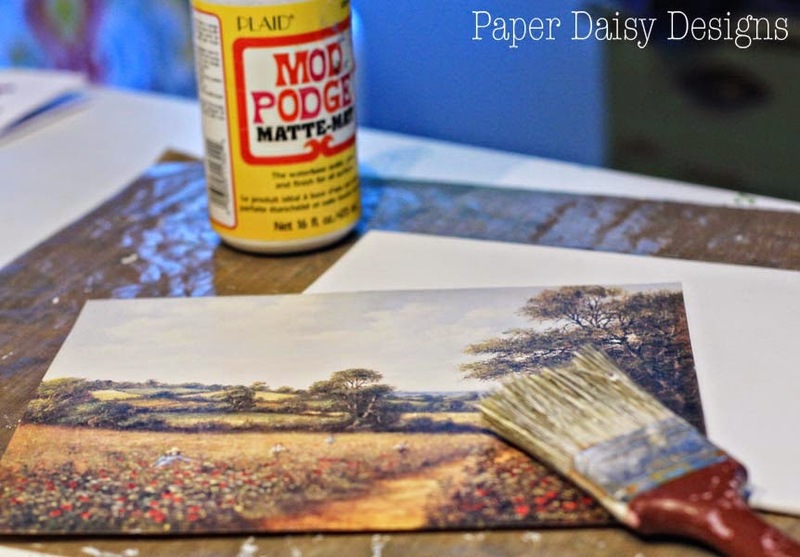 That was created simply and easily with Mod Podge and a little ingenuity. 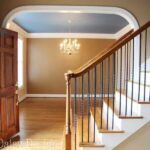 This post contains affiliate links for you convenience. 1. Begin by applying a nice coat of Mod Podge to the back of your print. 2. 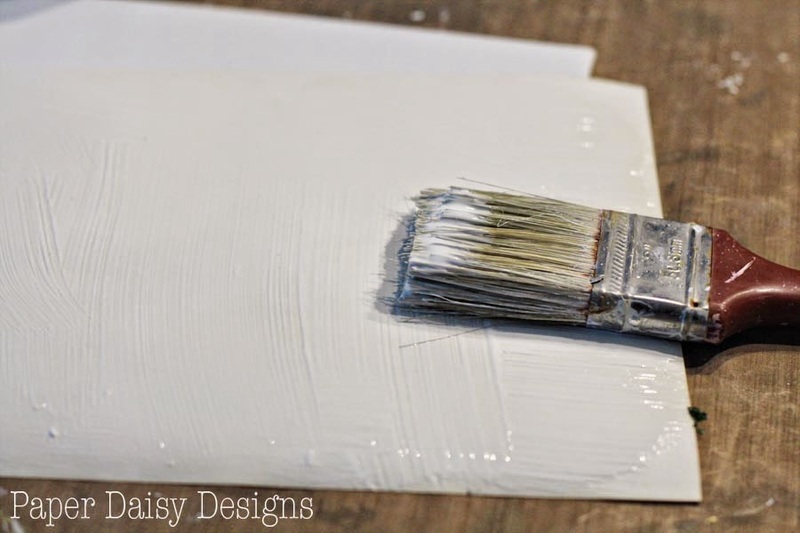 Turn the print over and using a bone folder, side of a ruler, or your fingers, smooth the print onto the canvas board. Then, apply Mod Podge to the front, covering completely. 3. Once the front is covered in Mod Podge, channel your inner artist and use a brush to mimic how a painter would stipple the leaves and clouds while painting, adding texture where it seems appropriate. 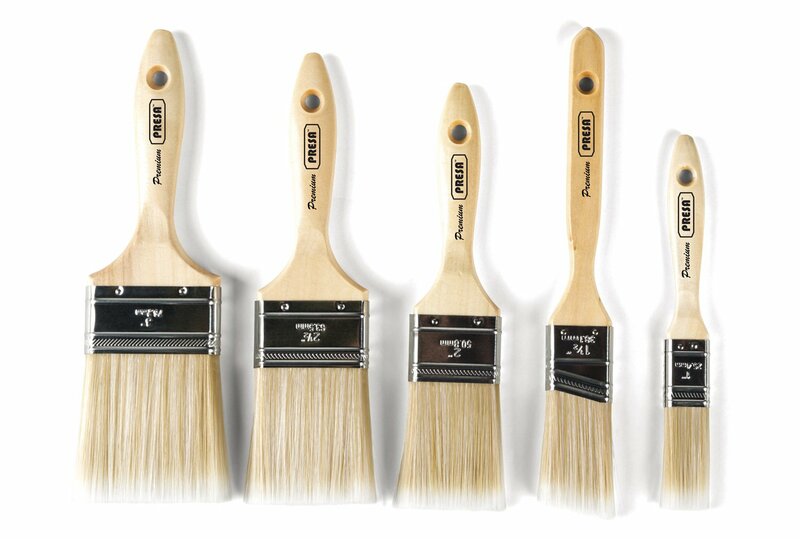 Feel free to use different brush sizes to more realistically create the texture. 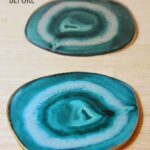 Allow the glue to collect in the areas with lots of color variation as well. Now you just wait for it to dry, I think that’s the hardest part. 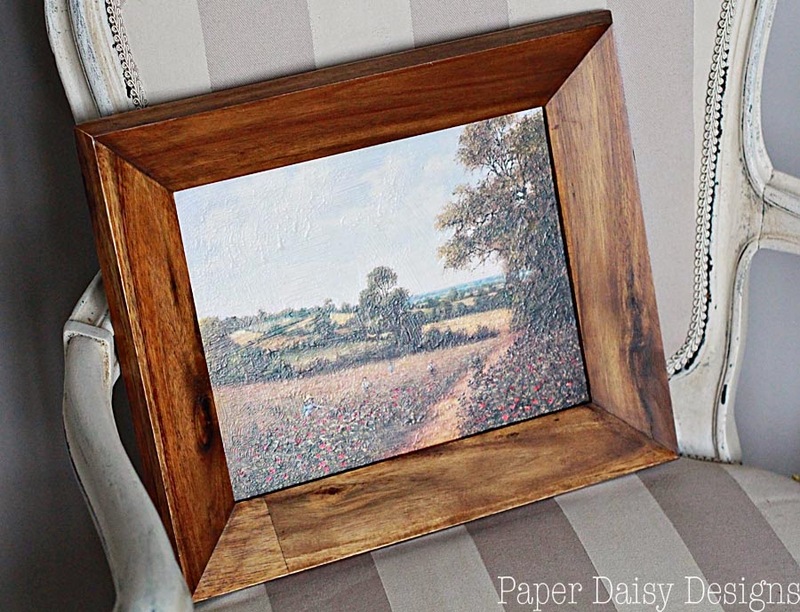 Once it is completely dry, remove the glass from you desired frame and pop your faux canvas into the frame. 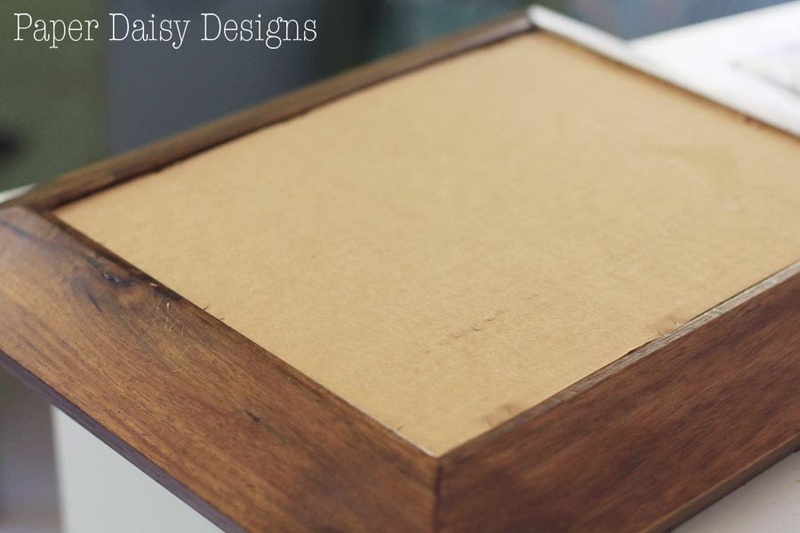 For my art, the card board backing fit fairly snug and held my canvas board in place firmly. This art is happily perched on a shelf, so I didn’t bother to go any further. 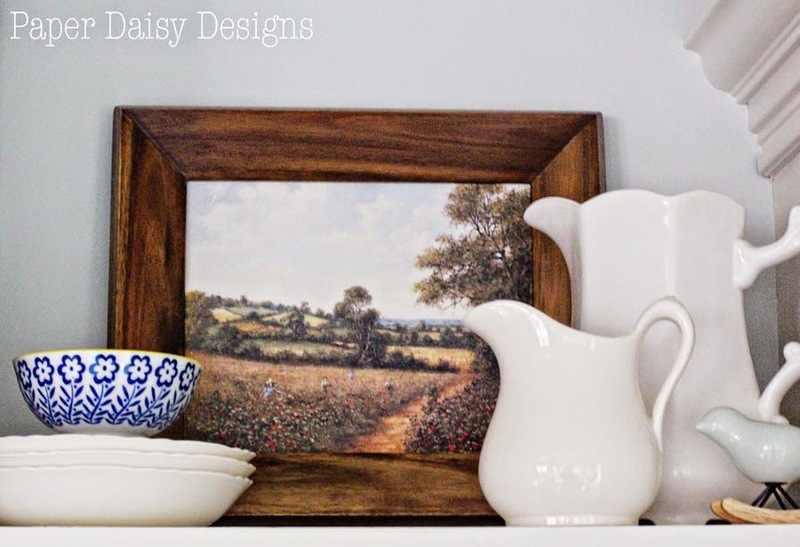 But if you wanted to hang your art, you will want to add a saw-tooth hanger and use some tape around the edges to hold your backing in place. I usually hot glue the hanger in the center of the top of the frame. A saw tooth hanger is inherently forgiving. In case you don’t end up gluing it exactly in the center, you can still achieve a straight hanging piece of art on your wall. I’ve done this several times to prints in varying sizes and have found them to hold up for years. 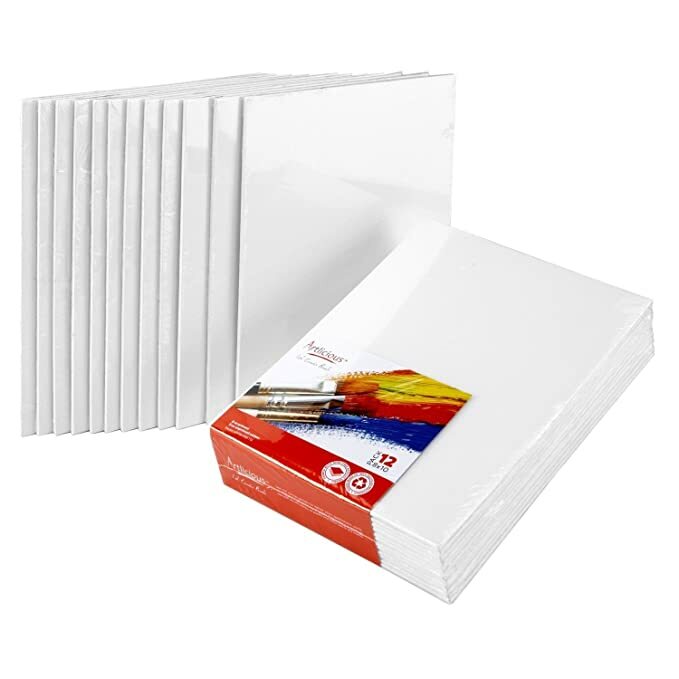 Depending on the thickness of the actual print, you may find the use of a canvas unnecessary. For larger pieces of art I’ve had perfectly good success with foam core as the backing. The other fantastic benefit of this technique is the elimination of the glare that would have come from the glass. 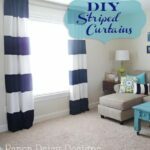 Can you think of a print you can makeover? If not, keep your eyes open for the possibilities! Feel free to share using the little buttons below! Pin it to Pinterest and follow me, Deeply Southern Home! This is a genius idea Leslie! I&#39;m going to have to think twice before I throw away a print or card. Pinning this! Great! Happy to have you following me in my adventures! Could I reapply a thicker coat, or would it ruin it? I bet you could. 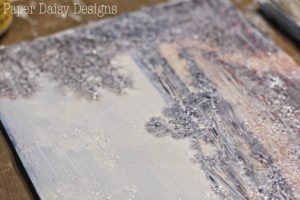 I would really focus on stippling the glue on to create that texture and maybe avoid “painting” with long brush strokes. Good luck and report back too! I’m curious but my gut instinct tells me it will work. What a great idea! This is perfect for a couple of prints I want to hang in some glassless frames. 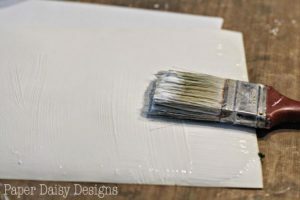 The mod podge will seal and thereby better protect them, as well as add texture, and the foam core will fill out the frame better. 🙂 Working on it now. Thank you for sharing this great tip! Vida, Thanks! It is remarkable how well this inexpensive trick works. Since I am a painter, this intrigues me. 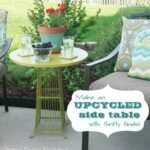 I have used mod podge on projects and was searching for what was missing. 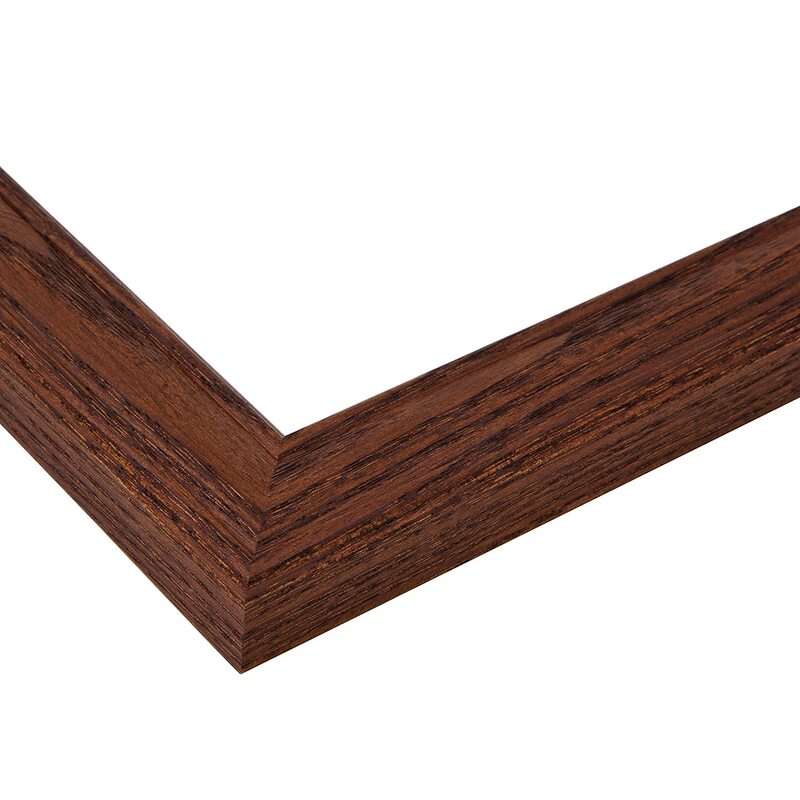 A smooth, but not smooth glue that has great potential for texture. Thanks for this posting. I can take this to my studio for future mod podge projects that will now have the touch and feel I am attracted to. I need to go to the thrift store tomorrow and pick up one of those simple pictures no one seems to care about!